Tempering is a process of thermal hardening performed on glass after all other processes that pierce the surface or substantially modify the edges have been carried out, such as grinding and drilling. 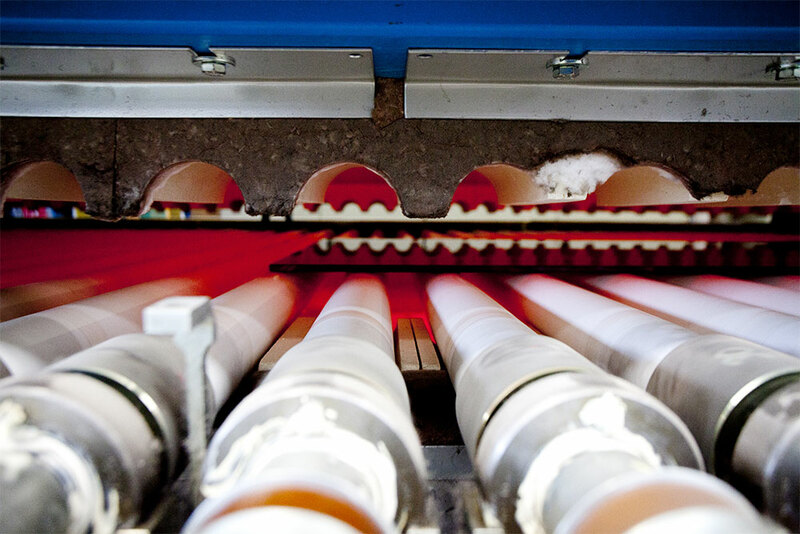 The glass is placed in a furnace at 640/670 °C until it reaches its softening point. It is then quenched rapidly with air. This rapid lowering of the temperature, which starts externally, creates compression force on the interior, which is however balanced by the internal tension. Tempered glass has a tensile strength that is approximately four times greater than that of untreated float glass. Another example of safety glass is laminated glass. Laminated glass is made by combining two or more layers of glass with one or more plastic interlayers made of PVB (Polyvinyl butyral) or EVA (Ethylene Vinyl acetate). The bond between plastic and glass creates a ‘sandwich’ which is heated and compressed to unite the layers together effectively. The plastic interlayer can also be of different thicknesses and colours to give the laminated glass an appearance unlike that of transparent glass. The glass can also be decorated by incorporating foils, metal sheets, fabric cloth and digital prints into the ‘sandwich’. If the sheet breaks, the strength of the internal plastic holds and prevents the fragments of glass from falling to the ground or impacting people, thereby increasing safety.